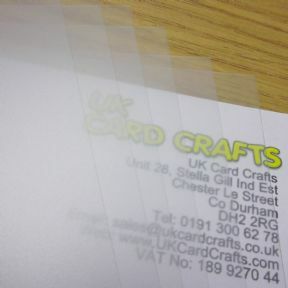 UK Card Crafts Clear A4 frosted acetate sheets are just great for aperture windows, OHP - in fact, it's uses are numerous to mention. Acetate Sheets are just great. This acetate is very clear and thicker than normal acetate.  Photos show close ups with printed paper behind and at a distance. 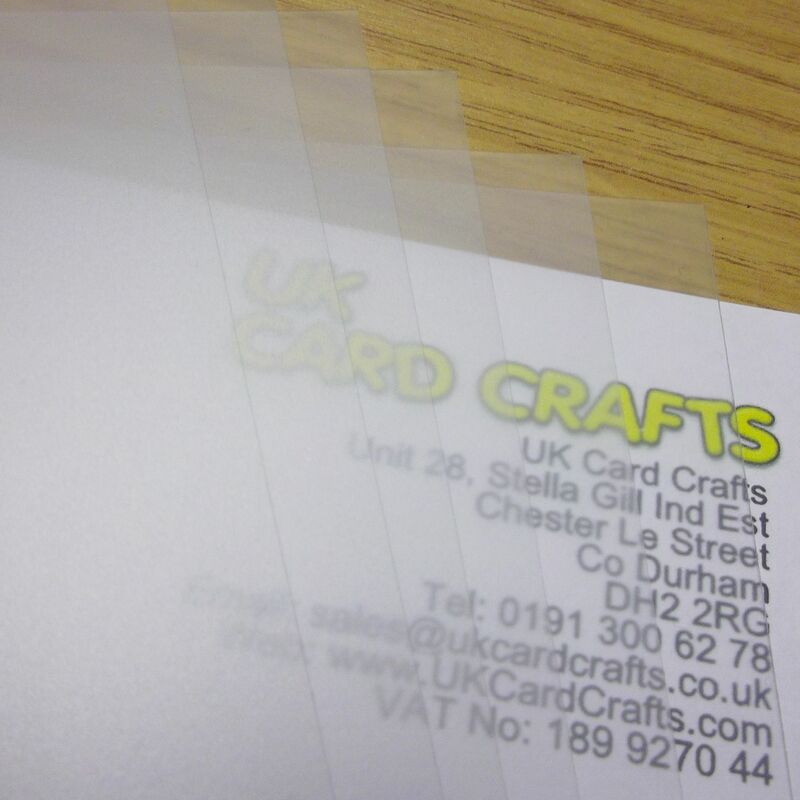 QTY - X 6 Acetate sheets per pack. 250 Micron - That's Thick, Normal acetate is 140 micron. If you're interested in ordering a large trade quantity of this item (6 Sheets x A4 Frosted 250 micron Acetate Sheets) then email us and we will send you a quote. Please note that this is not possible on some items. Please include the quantity and item(s) in your email. All quotes are sent via email. You can use the "contact us" form on this website for quotes. 10 x Apple Green Wedding Favour Organza Bags. 100mm x 75mm. 10 x Black Wedding Favour Organza Bags. 100mm x 75mm.